In 1906, a thoroughbred called Knowledge crossed the finish line first at Latonia Race Course. That was very good news for John R. Coppin, the Covington businessman whose dry goods and fashion business had been a staple of downtown for two decades. He was on the verge of his biggest project yet: a skyscraper at the corner of 7th Street and Madison Avenue, a building that would bear his name and host his business, now a high-end destination for the best in early 20th century fashion. 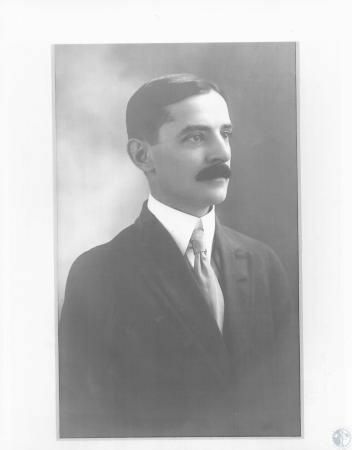 Architect James Gilmore had crafted a design for the seven-story building that would be the first reinforced concrete skyscraper in Kentucky. But Coppin was nearly out of money. Until Knowledge. 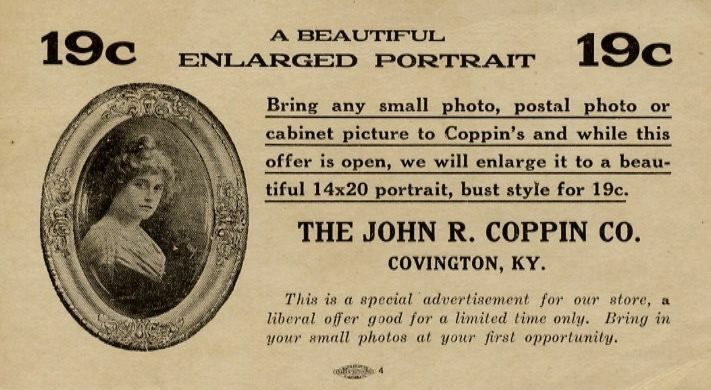 The Coppin mansion was not far from the Latonia track and when the businessman and race horse enthusiast returned home that fateful day in 1906, he was $33,000 richer. 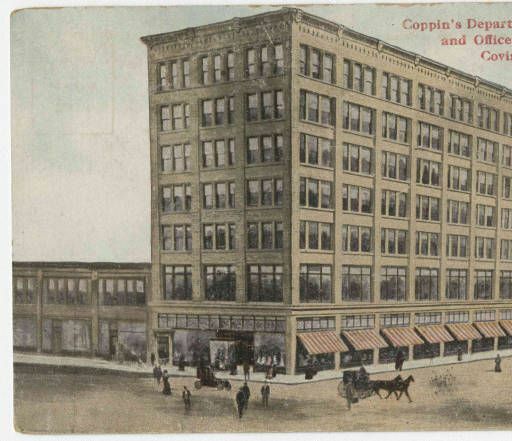 Construction on the skyscraper started almost immediately after and Coppin's Department Store began operations inside in 1910. One hundred years later, in the fall of 2012, another gamble was taken on Coppin's namesake building. 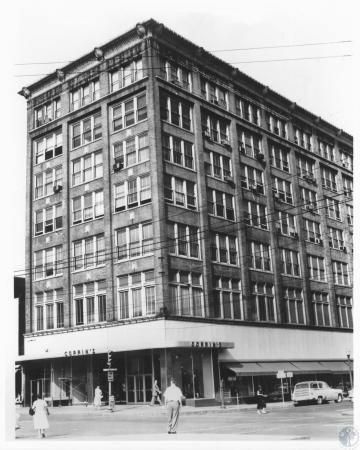 This time, it was the City of Covington itself that had just been resurrected from near bankruptcy, but with its financial ship abruptly righted thanks in large part to new contracts with union employees, consolidation of the emergency dispatch center with the county, and other drastic measures, then-Mayor Chuck Scheper stood on the first floor of the building - which had then been operating as City Hall - and announced a new project, one that would become a cornerstone in the city's downtown revitalization plans. The Coppin's Building, Covington City Hall, would be transformed into The Hotel Covington. In many ways, the announcement of such an ambitious project - an independent boutique hotel boasting the name of a city that just narrowly averted bankruptcy - marked the beginning of Covington's third century. Covington turned 200 years old in 2015, and did so with a new courage and pride that had been beaten down by nearly fifty years of continued declines in population and prestige. That the Salyers Group, the local firm behind such brands as Donna Salyers' Fabulous Furs and the Madison Event Center, was still committed - and maybe more so than ever - to recreating downtown Covington by embarking on this hotel endeavor with Chicago-based Aparium, triggered newfound hope for recovery of Northern Kentucky's urban core. Such a gamble would not prove to be an easy win. There were interruptions to the original plan, delays in financing, and some scaling back, but the building was formally sold by the City of Covington, vacated, and the named Coppin and Covington are tethered again to an anchor project that aims to signify that this city is alive. In a recent tour of the $21.5 million hotel project, The River City News witnessed not only the ambition and scope of the development, but also its commitment to where it is, where it came from, and what it plans to become. In every corner, color, design - The Hotel Covington lives up to its name. 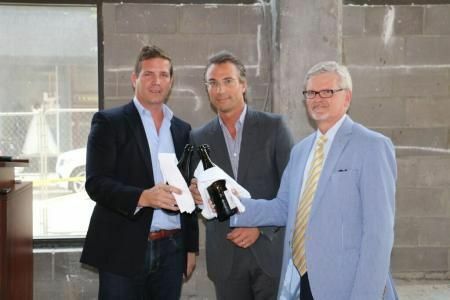 "Given its history and meaning to the Covington community, our entire team feels honored to revitalize this building and do right by the site and those living in its surrounding area," said Guy van Rooyen, chief executive officer of the Salyers Group. "We carefully considered each detail within the hotel to instill a historic, but modern-day feeling that will evoke curiosity and nostalgia within our hotel guests." That means that the Covington of old and new will be felt all around the hotel's guests and visitors. 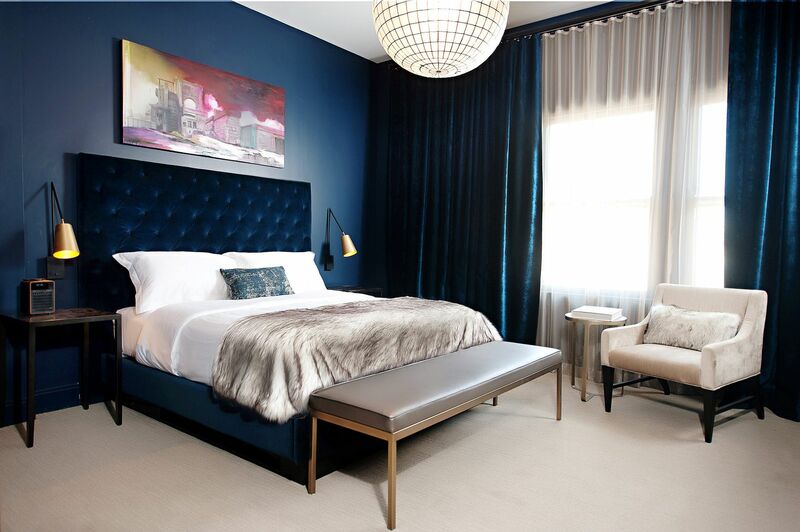 The 114 guestrooms are outfitted in four styles and arrangements. Each room offers a vintage retail-inspired, free standing clothing rack in lieu of traditionally enclosed armoires, a polished wooden desk, and mini-fridge stocked with locally produced snacks and goodies, like caramels, chocolates, and coffees. Even the metal trash cans are shaped like shopping bags, an homage to the building's original place as a fashion destination for people from far away. 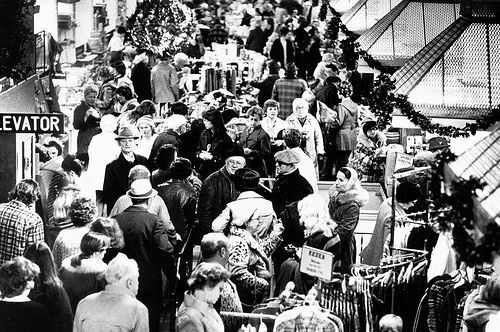 Guests will find Uno playing cards and a Magic 8 Ball, products inspired by or created by local personalities decades ago. The standard and deluxe guestrooms measure at 300-400 square feet, while the larger suites are outfitted with additional lounge seating and a sofa. The Hotel Covington offers 4,700 square feet of meetings and event space comprised of a ballroom, boardroom, and library, featuring shelved walls filled with historical and modern-day novels. Finishes of black and brass are seen throughout the hotel, as well as custom handmade artwork from local artists on display to be appreciated by hotel guests. The lobby is an inviting space where both locals and travelers can lounge while sipping on coffee or cocktails and noshing on bites from the hotel’s dining outlets. For business travelers, or those just checking in with the office, walnut tables are positioned throughout the space to provide a shared, functional work space. The restaurant also pays tribute to Coppin, the man whose lucky day in Latonia 110 years ago, made the whole thing possible. The in-house restaurant will be called Coppin's and will be found on the first floor in a one-of-a-kind 1,400 square feet glass-enclosed dining atrium with floor to ceiling windows. Chef Haren said that the restaurant’s dedication to its past is visible through an approachable menu in a casual yet contemporary dining experience. Both the atmosphere and shareable menu layout are designed to encourage engagement and camaraderie with large groups, while offering an inclusive environment for the transient and single diner. There will also be a late-night window in the adjacent alley in the wall between the alley and the outdoor enclosed patio. The seasonally-driven menu harmoniously complements a distinctive beverage program highlighting local craft beers, cider, and spirits, as well as wine and cocktails on draft. This dedication to sourcing of meat, fish, and game, is reflected in Chef Haren’s culling the best the area has to offer from both regional and local farmers and artisans from Kentucky, Ohio, and Indiana. Key menu items showcasing his interpretation of classic American fare accented by his fine-dining background include the Pimento Cheese Jar with lavosh and Pork Rillette with pork crackling salad and rustic bread, with main dishes highlighting artfully crafted rustic fare like the custom, house-blended Coppin’s Burger topped with Boone Creek Cheddar and bacon marmalade and the Bobwhite Quail with corn pudding, sorghum, and cracked pepper. When it opens later this summer, The Hotel Covington will have returned the Coppin's building to its roots as a destination for the refined traveler and local residents. 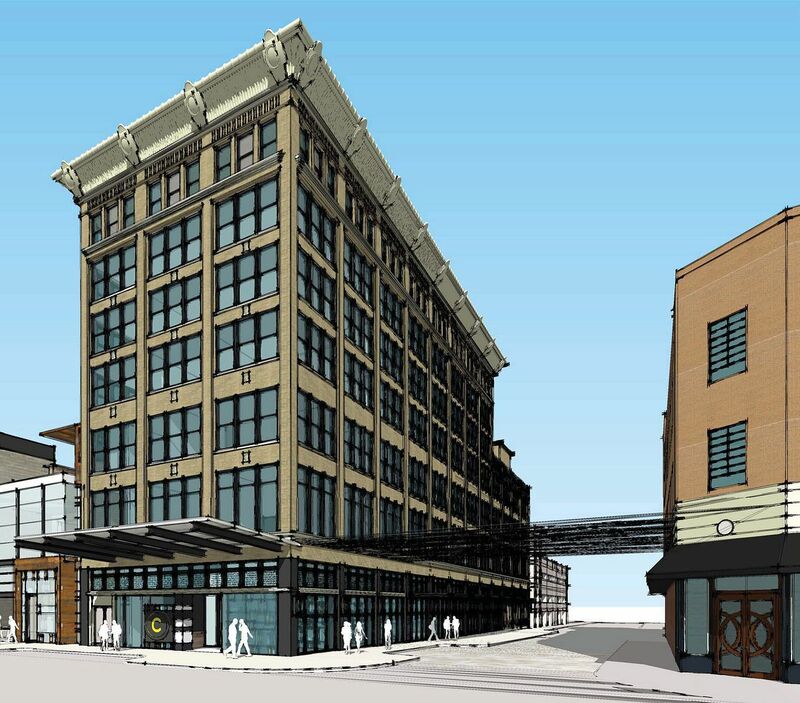 While the hotel element will complement and meet the demands of the Madison Event Center next door, it will also finally take its throne as the crown jewel of downtown Covington's renaissance. Since the hotel's 2012 announcement, downtown has witnessed a resurgence with a booming brewery, new restaurants, dozens of residential units, and other accouterments of a vivacious urban experience. When the first guests arrive, The Hotel Covington and the City of Covington will find themselves each worthy to share a name.